The Ribble is one of the most important places in Europe for wildlife… its designation as a Regional Park - the Ribble Coast & Wetlands, officially launched on Friday 23rd March 2007 - is a positive and exciting step forwards in showing how protecting the Ribble’s inter-tidal ecosystem, for now and for future generations, will also boost the local economy. 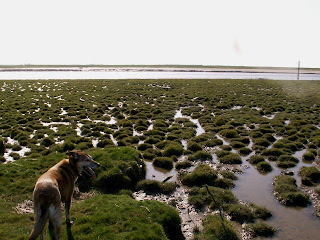 Ribble saltmarsh at Marshside near Southport. These are just a selection of the existing and newly-proposed eco-tourism opportunities which will form great attractions for the Ribble Coast & Wetlands Regional Park. 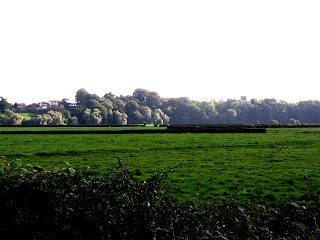 Yes, we can put the Ribble at the centre of our thinking without damaging its environmental integrity, or destroying its character, or denying its unique place in local, national, and international terms! 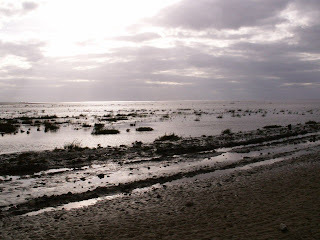 You can read what the World Wildlife Fund says about the economic importance of wetlands. The Ribble Coast & Wetlands Regional Park will boost eco-tourism opportunities ALL YEAR ROUND as some of the best wild-life watching takes place outside of the traditional holiday season! 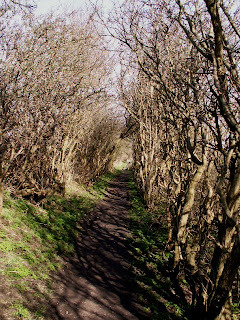 North West Coastal Path, Freckleton Pool. 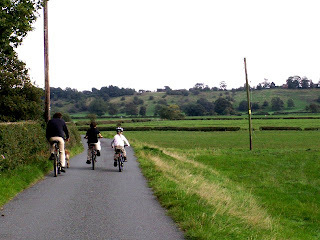 The Ribble Green Belt and floodplain - and a fantastic cycleway - between Fishwick Bottoms and Brockholes. - but the other Riverworks proposals of barraging the Ribble and building massive housing and business developments on its floodplain and Green Belt areas clearly contravene the whole Regional Park raison d’etre as both of these proposals would interfere with the Ribble’s irreplaceable inter-tidal ecosystem on the one hand, and reduce its green infrastructure on the other. The Ribble's silts - the life-blood if its wetland ecosystem - clearly visible at low tide washing downstream between Penwortham and Preston. 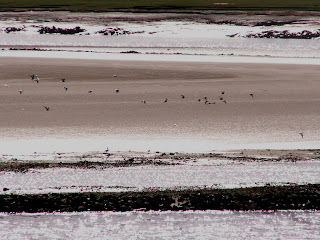 The confluence of the Douglas into the Ribble, and the silt-rich mudflats exposed at low tide. 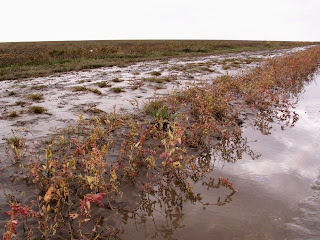 Dams disconnect rivers from their floodplains and wetlands. The damage to freshwater ecosystems can be devastating. They impact on the migratory patterns of fish, and flood riparian habitats, such as waterfalls, rapids, riverbanks and wetlands. By slowing the movement of water, dams prevent the natural downstream movement of sediment to deltas, estuaries, flooded forests, wetlands, and inland seas, affecting species composition and productivity. This is why it is so important that we do not endanger the Ribble's ecosystem by allowing any kind of dam, barrage, weir or barrier to be built, merely for the sake of a 'Water Sports Park'. 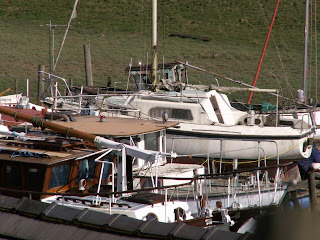 As it is, Preston Docks and Marina already bring much boating and sailing traffic through the Ribble Link, connecting Lancaster Canal to the inland waterway network south of the River Ribble – and all without the necessity of a barrage. Freckleton Naze just downstream of where the Pool meets the Ribble. At the launch of the Ribble Coast & Wetlands, Laurence Rose, Regional Director of the RSPB, said that designating the Ribble a Regional Park enables long-term thinking to protect the most important single river estuary in Britain – which supports in the region of 1 million birds all year round - at the same time as promoting coastal tourism throughout the year which will bring in an extra £115 million to the local economy from new visitors. 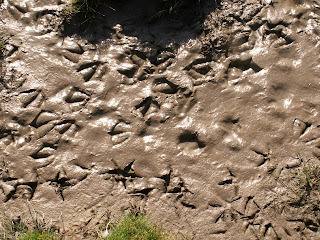 All year round, the Ribble supports more birds than the combined human populations of Preston, South Ribble, the Fylde, West Lancashire, Blackpool, Wyre, Chorley, the Ribble Valley… in fact, almost as many birds depend on the Ribble’s inter-tidal ecosystem as there are people in the whole of Lancashire… and the human population of the North West as a whole also benefits from the quality of life the Ribble’s ecosystem brings on every level. 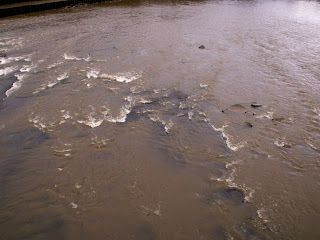 Ribble inter-tidal ecosystem supports wildlife and human communities. Michael Jack, MP for the Fylde, gave a keynote speech at the launch of the Ribble Coast & Wetlands, in which he pointed out that seeing the river as a divide between communities shows a dangerous lack of understanding of the importance of the Ribble to the environment and to our communities. 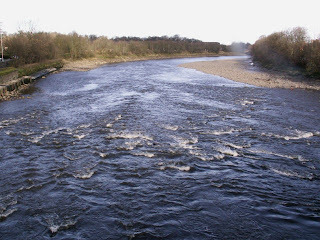 He went on to say that only by understanding what a rich treasure-house the Ribble is in biodiversity terms can we ensure we say “YES” to developments which improve our access to the Ribble, and “NO” to others which will damage this unique environment. 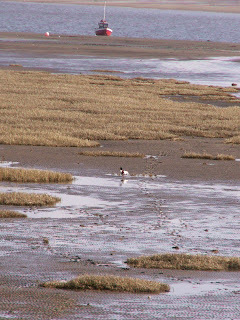 The Ribble Coast & Wetlands Regional Park aims to protect and improve this unique and irreplaceable environment, and the quality of life for local communities. 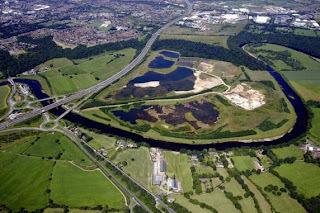 This will be by improving access and facilities for local people as well as create fantastic eco-tourism opportunities... and by protecting the Ribble’s wetland habitats, this will protect and enhance the quality of life – and flood protection – these also bring to local communities. Long Live the Ribble Wild! 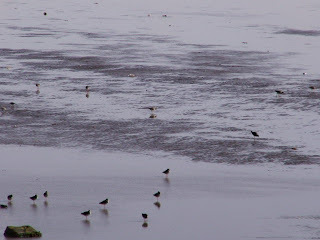 You can read more about the Ribble Coast & Wetlands Regional Park here and here.